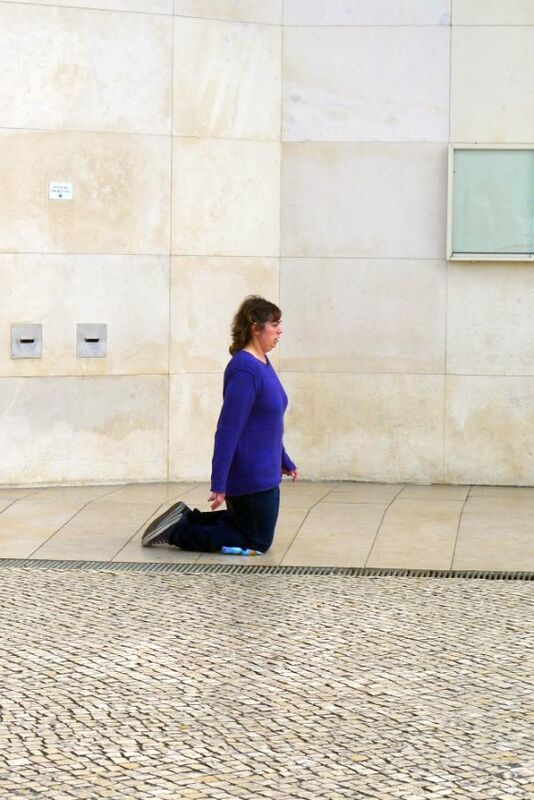 Fátima is a town located about 80 miles North of Lisbon. Considered as one of the world’s most respected religious shrine. 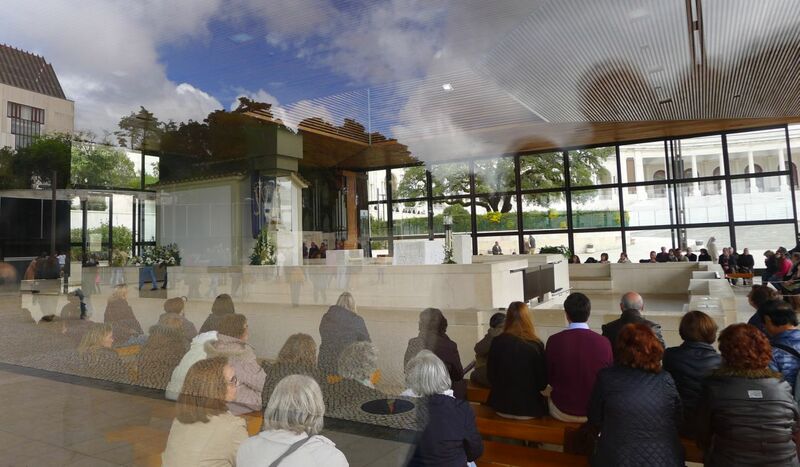 People come to Fatima to ask for miracles and demonstrations of faith. 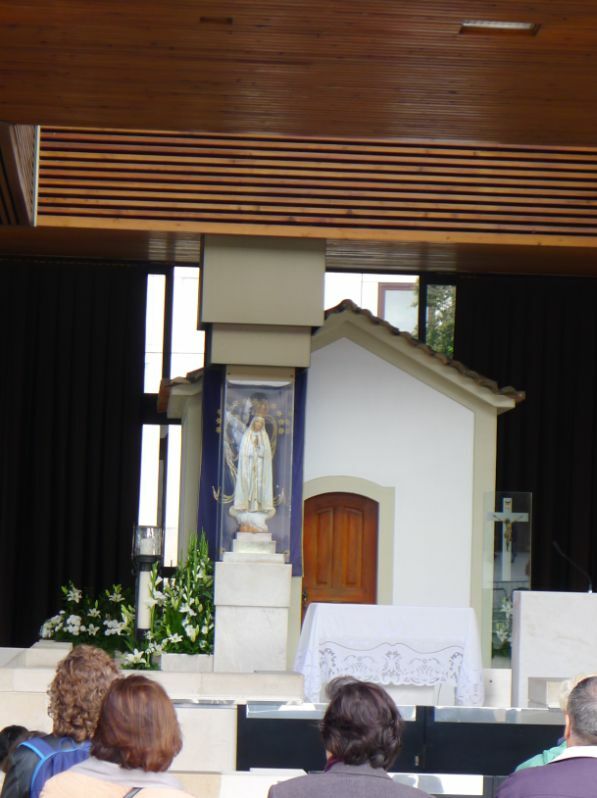 Fátima’s fame is due to the Apparitions of Our Lady of the Rosary that appeared to three shepherd children; Lucia dos Santos and her two younger cousins, Francisco and Jacinta. 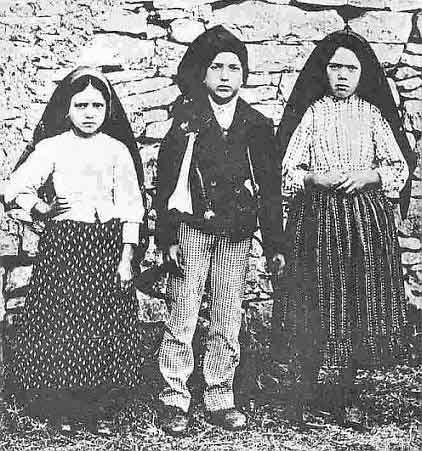 Between May and October of 1917, the three children witnessed several apparitions. The last one, on October 13th, was confirmed by a miracle witnessed by 60,000 people known in the catholic world as “the day the sun danced”. 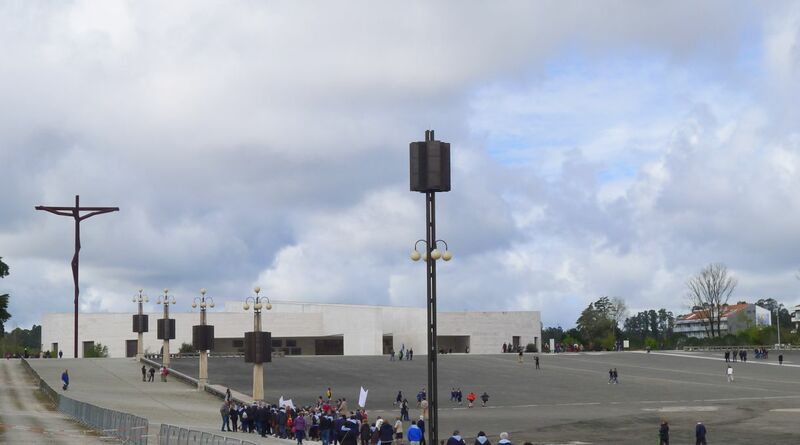 Fátima now attracts thousands of pilgrims, Roman Catholics, and every year on the dates of the Fatima apparitions, May 13th and October 13th, pilgrims fill the country road that leads to the shrine. 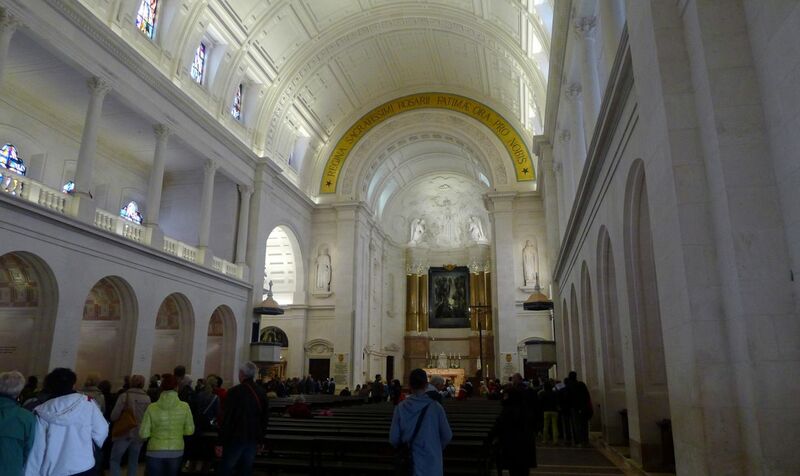 Overall, about four million pilgrims visit the basilica every year. 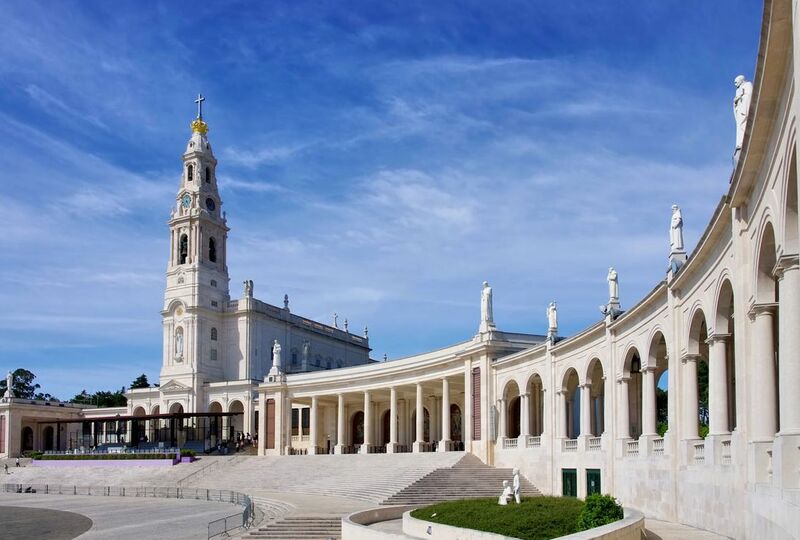 The basilica is built at the site of the Marian apparitions reported by three Portuguese children in 1917 and known as Our Lady of Fátima. 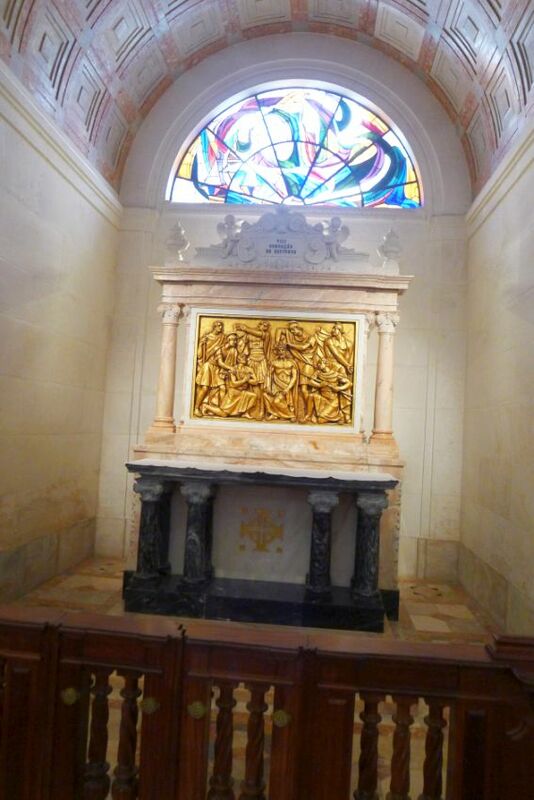 The tombs of Blessed Francisco Marto, Blessed Jacinta Marto and Sister Lúcia dos Santos, the three children, are in the Basilica of Our Lady of the Rosary. Scenes of the Marian apparitions are shown in stained glass. 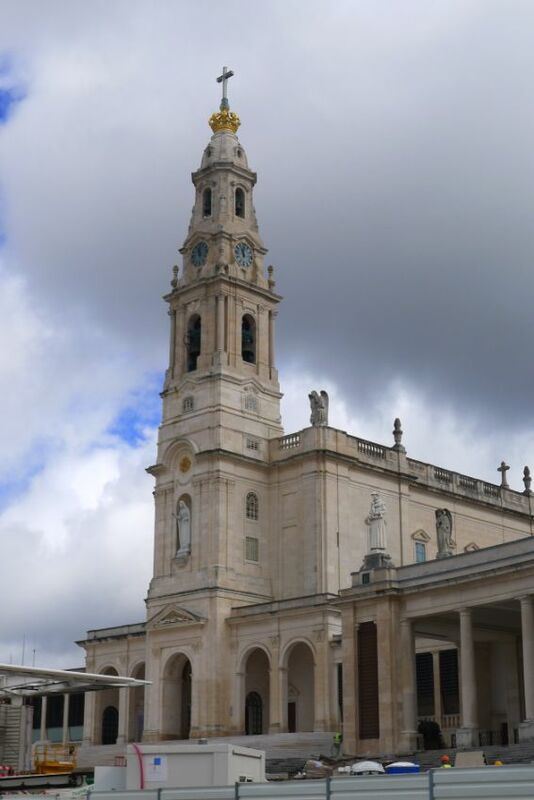 The Basilica received its title in December 1954 granted by His Holiness, Pope Pius XII. 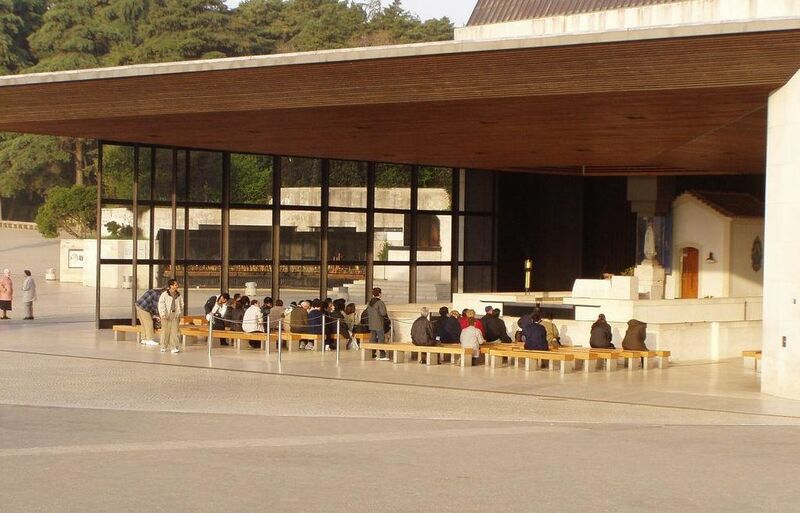 It is situated in a vast open square, approximately twice as large as St. Peter's in Rome. 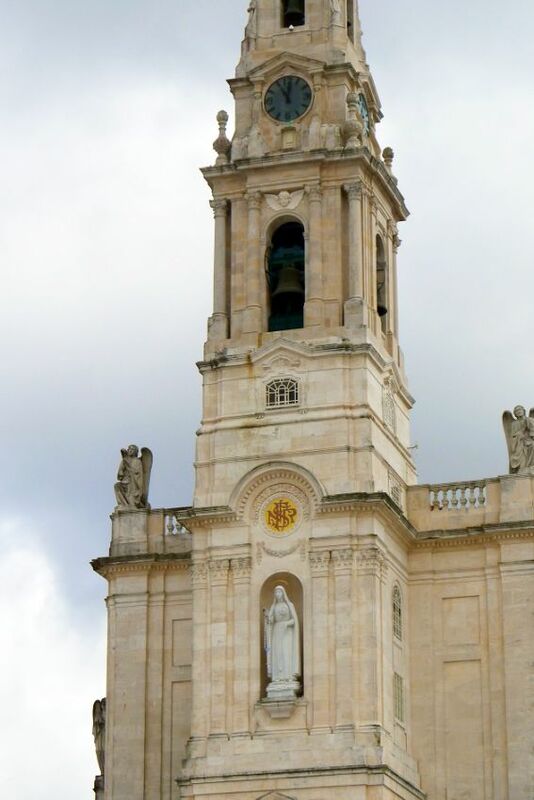 This beautiful edifice is built of solid limestone with a tower that reaches 65 meters (213 feet). It has fifteen altars corresponding to the fifteen decades of the Rosary in honor of Our Lady who here declared: "I am the Lady of the Rosary." 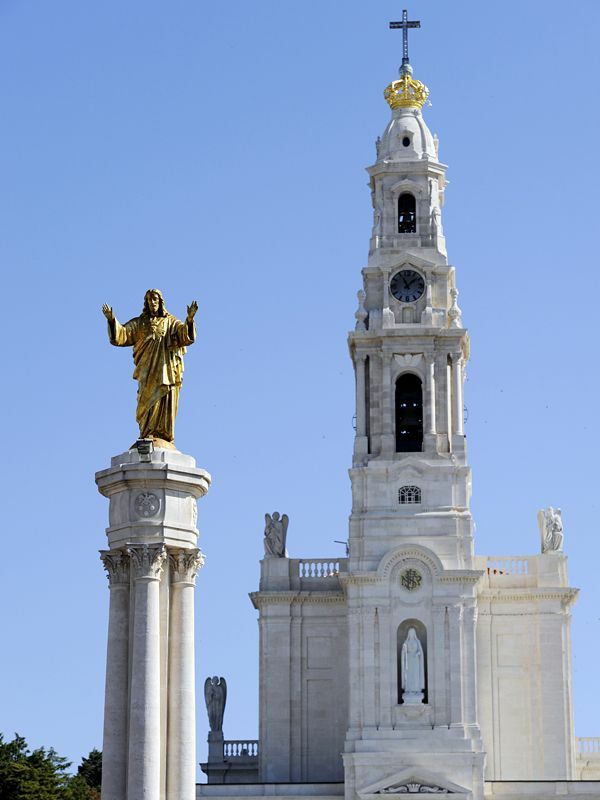 The Basilica has a 200 spire with a golden crown and crystal cross-shaped beacon on top. Statue of Our Lady of the Rosary on the front facade, above the portico. 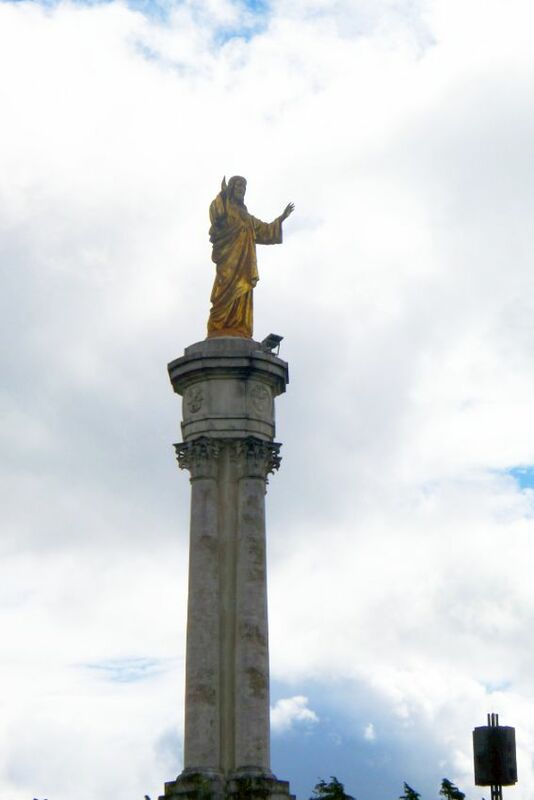 The monument to the Sacred Heart of Jesus, in the center of the square (which is over a spring of water) with the Basilica in the background. 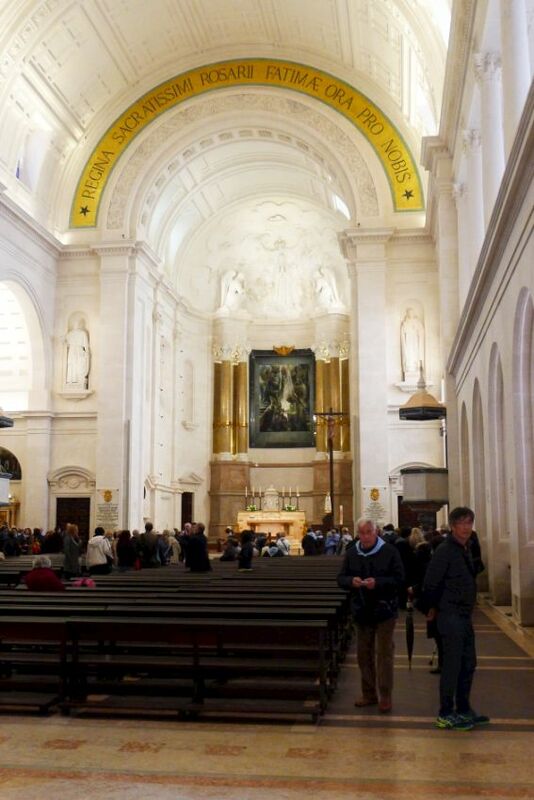 Interior of the Basilica: "Queen of the Most Holy Rosary of Fatima, Pray for us." It was at the last apparition that the Lady told the children she was the "Lady of the Rosary." The altar flunked by tall golden colonnades. 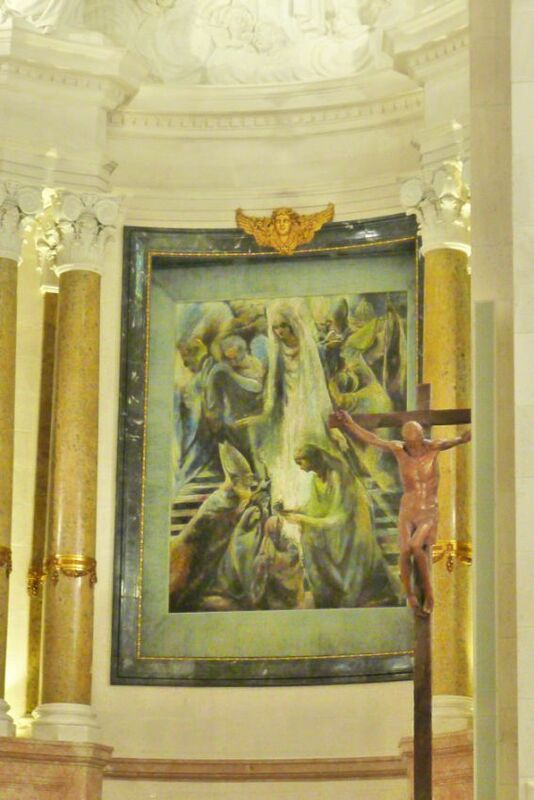 The picture above the high altar depicts the event of Mary sending an angel with the Eucharist to the three children, with the Bishop also depicted kneeling on the left. 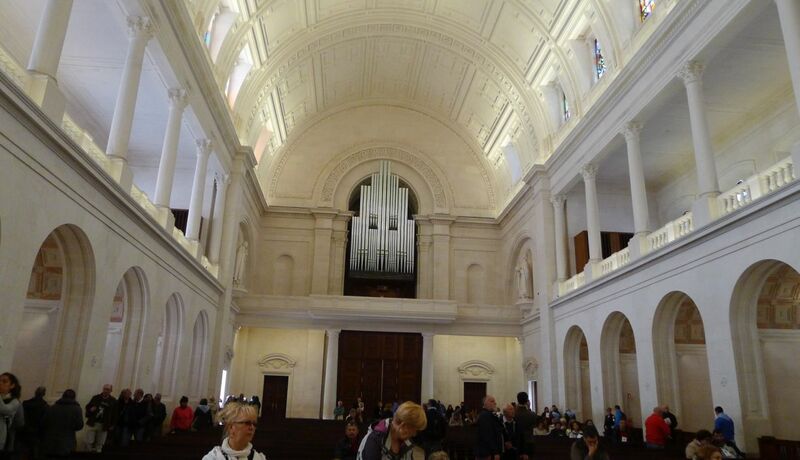 The large church organ was installed in 1952 and has about 12 thousand pipes. 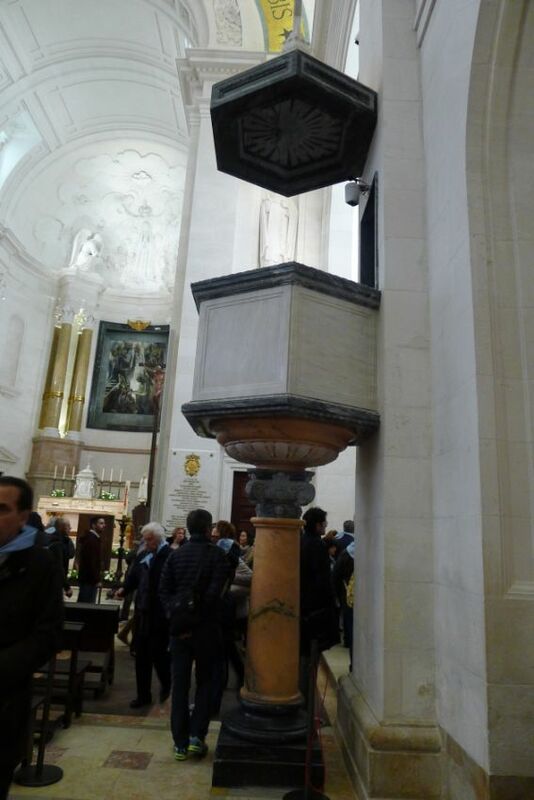 Four statues of the four great apostles of the Rosary and to the devotion to the Immaculate Heart of Mary are at the four corners of the Basilica: Saint Anthony Mary Claret, Saint Dominic, Saint John Eudes and Saint Stephen, King of Hungary. 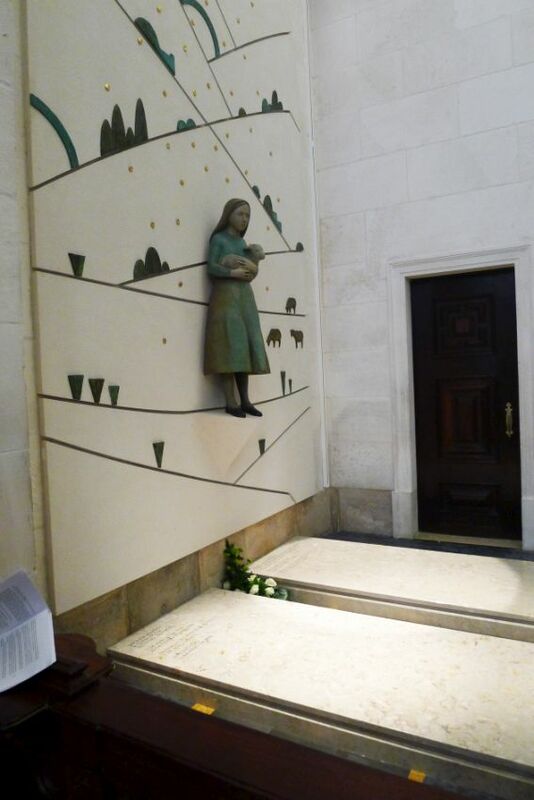 The tomb of Blessed Jacina, who was only 7 at the time of the apparitions, and died 3 years later. The two children (Jacina and Francisco) were proclaimed blessed by Pope John Paul II on May 13th, 2000. Jacinta died in 1920 and Francisco died in 1919. 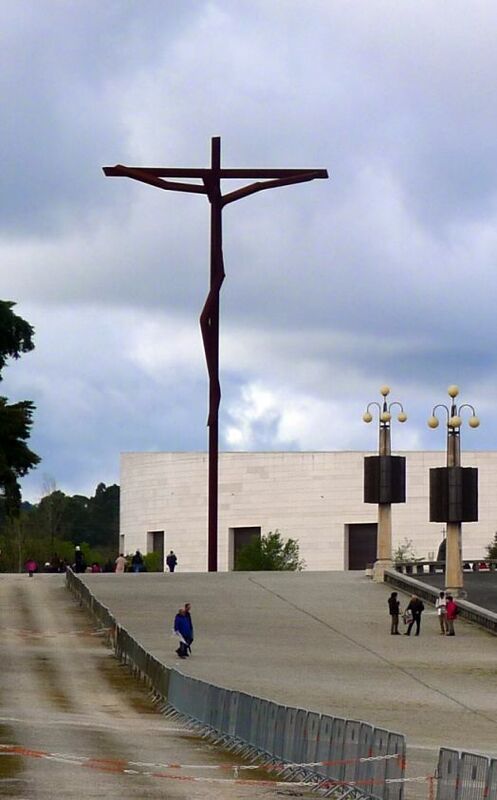 In 1921 Lucia left Fatima to attend a convent school in Vilar were she could grow up as a normal child, insulated from all the attention created by the apparitions. 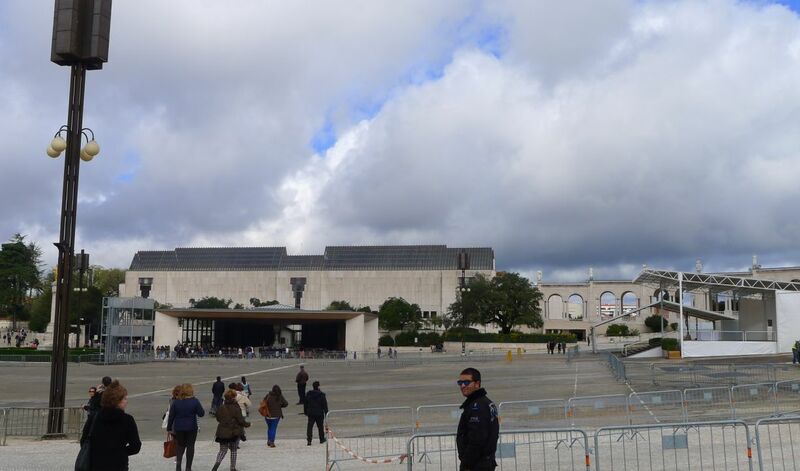 The huge assembly ground facing the basilica is impressive even on an empty day. Imagine the esplanade full of people on a festival day. The building you see in the back is the Basilica of Most Holy Trinity. We did not have enough time to stop by to see in the interior. 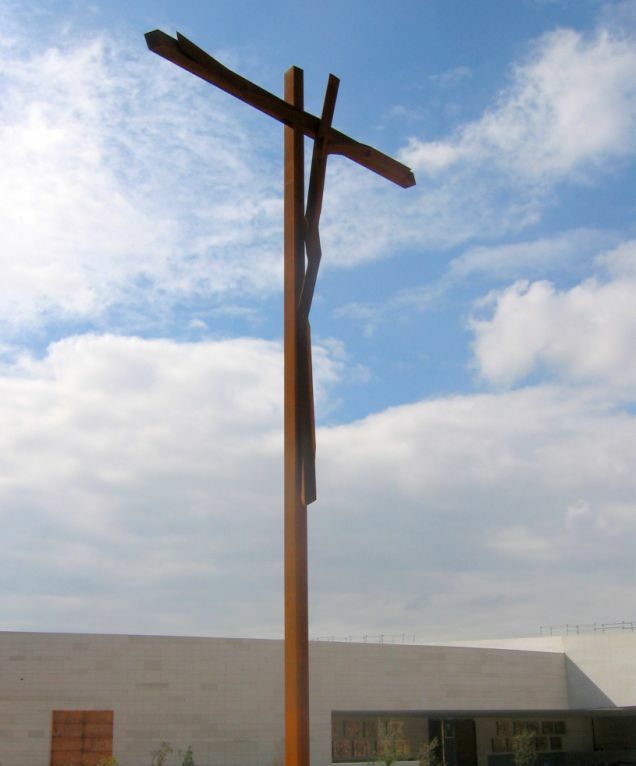 A tall and modern looking cross by German artist Robert Schad representing the crucified Jesus is made out of bronze and is 50-meters (164 feet) high. 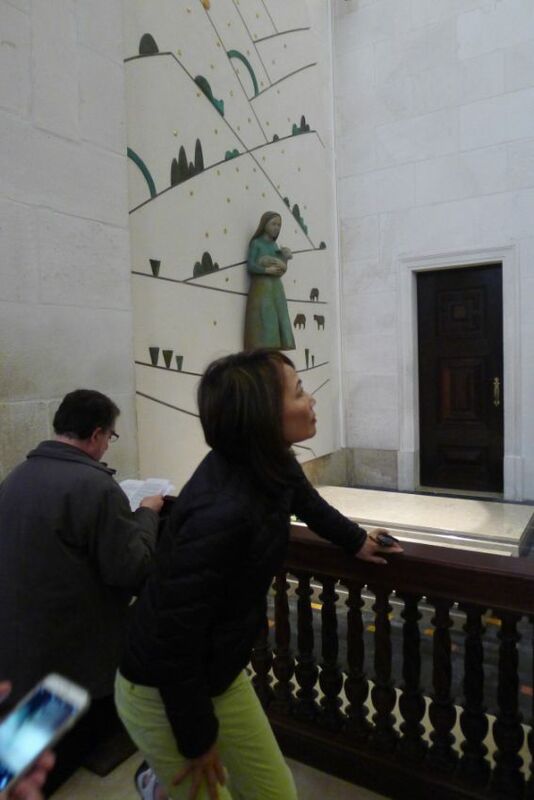 The Chapel of Apparitions is at the very heart of the basilica and the exact location of the apparitions is marked by a marble pillar which holds a statue of the Virgin Mary. 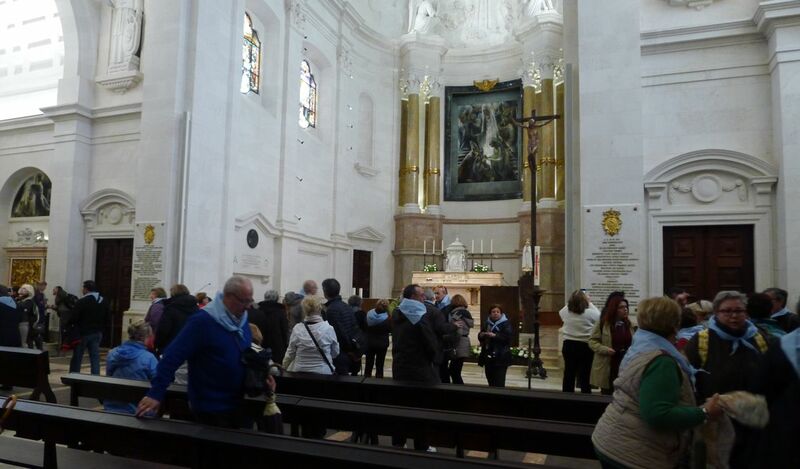 We are now walking toward the chapel of apparitions - on the left. 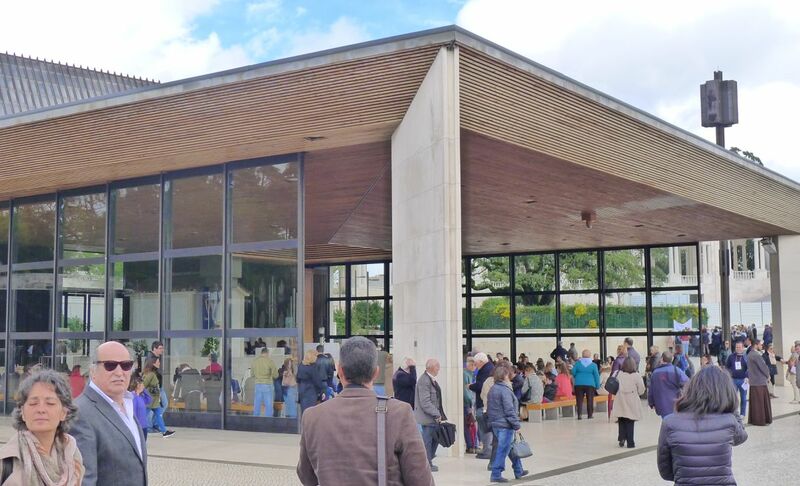 This Chapel was the first building to be constructed in the Cova da Iria in 1918. 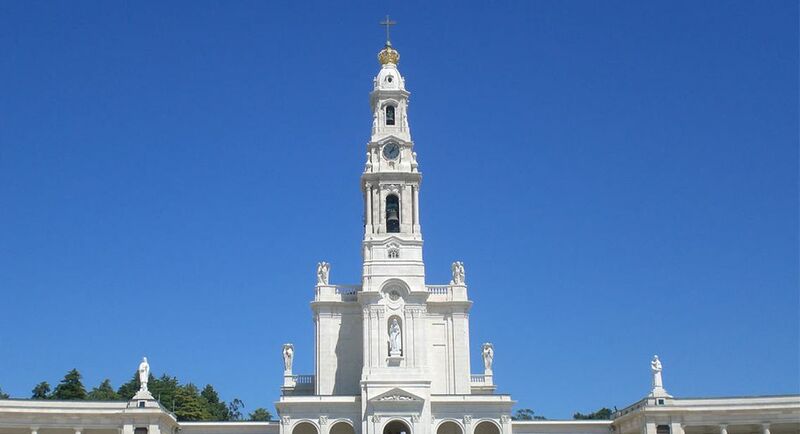 It was built in the place indicated by the Virgin Mary. 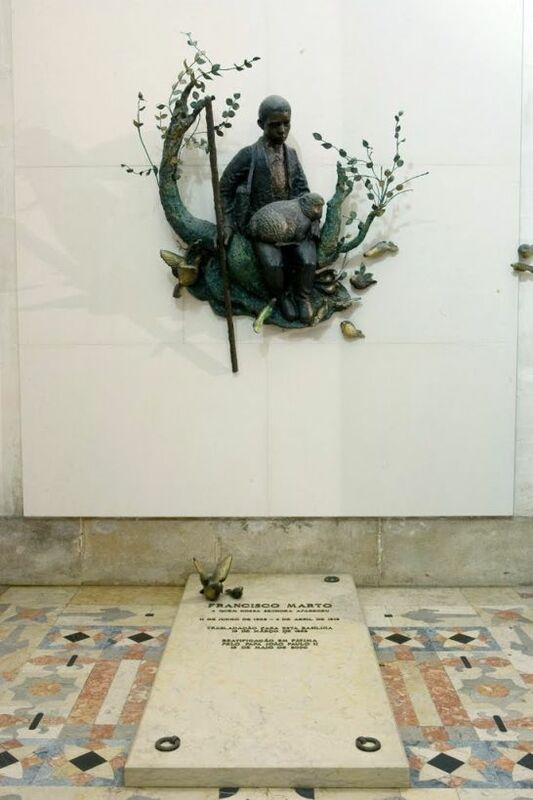 The Virgin Mary had asked the shepherds to build a chapel in her honor and her image has been sculpted on a marble pillar that marks the exact spot where the little oak stood on which the Virgin appeared to the shepherds on the 13th day of May, June, July, September and October in 1917. The original shrine was anonymously blown up on March 6, 1922, but it was rebuilt that same year. The chapel has been covered by a large pine roof brought from a Russian port in the northern Soviet Union on September 12, 1988. Over time the Sanctuary was extended to accommodate the large numbers of pilgrims. Close look at the chapel of Apparitions This marks the spot where Mary appeared to the three children. 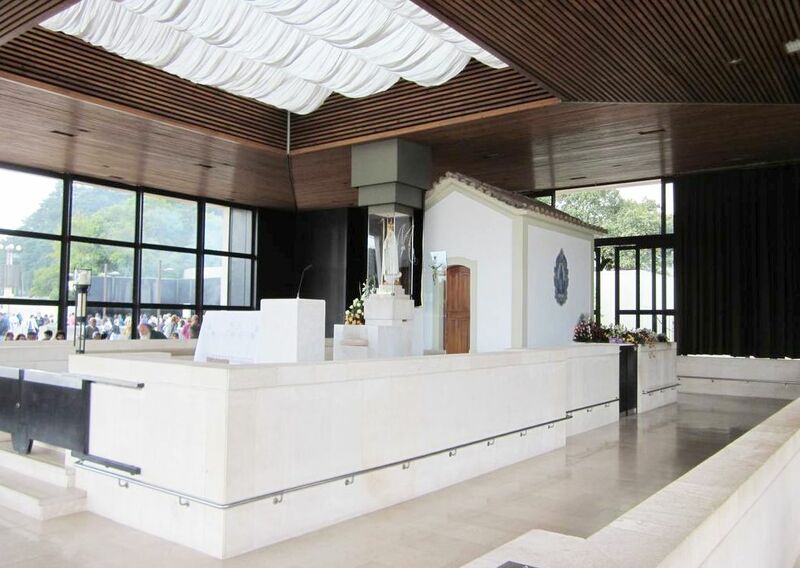 The canonically crowned image of Our Lady of Fátima enshrined within the Chapel of Apparitions. 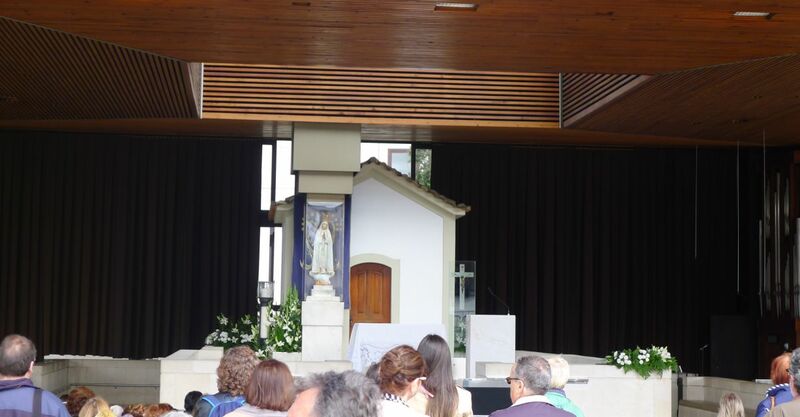 A believer praying on her knees until she reaches the chapel of apparitions. 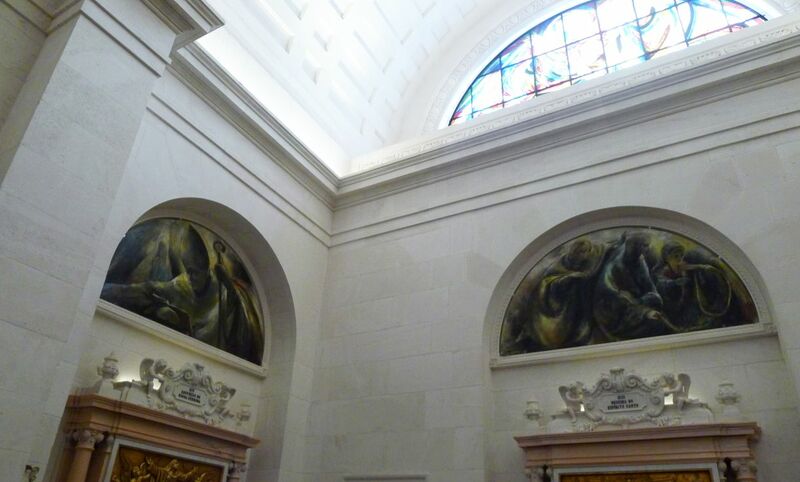 This is the back side of the chapel. Private area where you can access and do a quick prayer if you make a donation. Loan request access and was able to get in here and do her prayers. 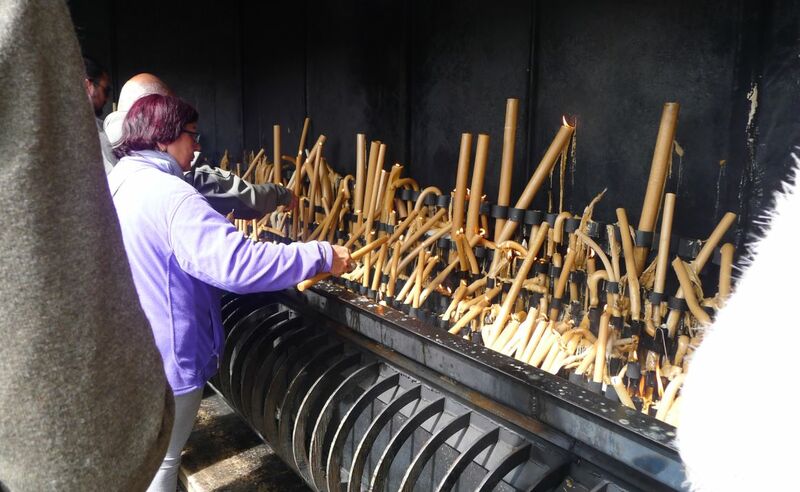 Place for lighting and leaving candles with an inferno below where the wax melts into a trench and flows into a vat to be resurrected as new candles. 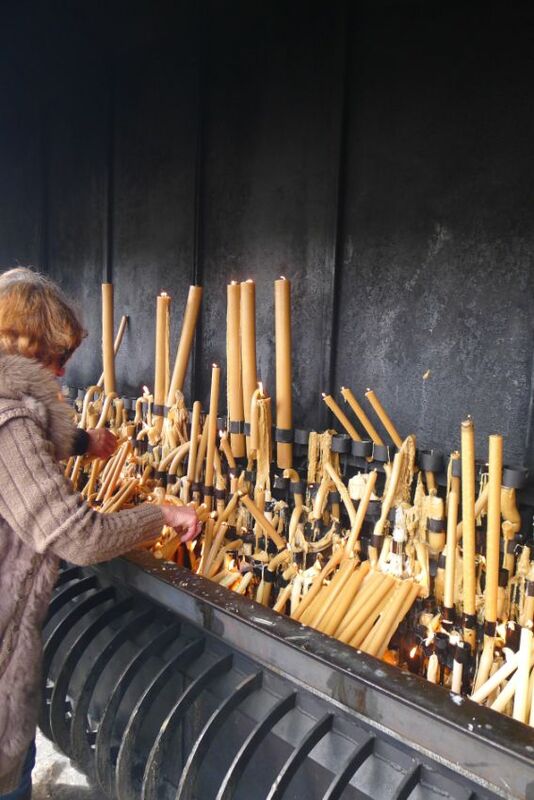 The burning of candles is one of the most popular tokens of faith displayed by those arriving in Fátima. 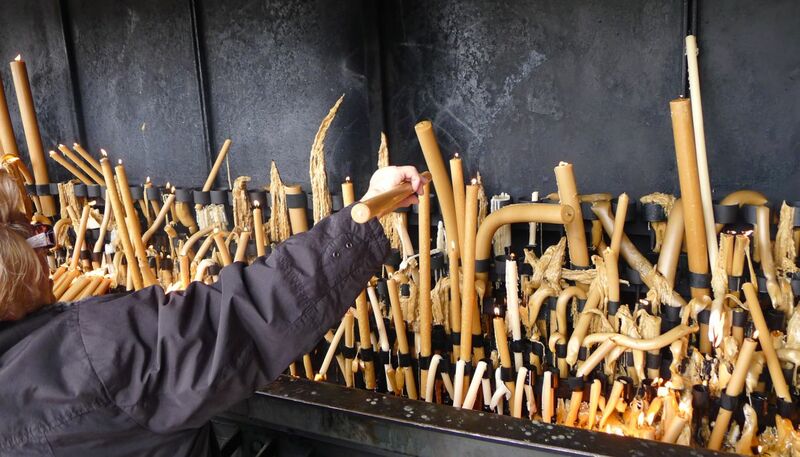 The sanctuary offers candles in every conceivable shape and size, some even in the form of limbs and other body parts. 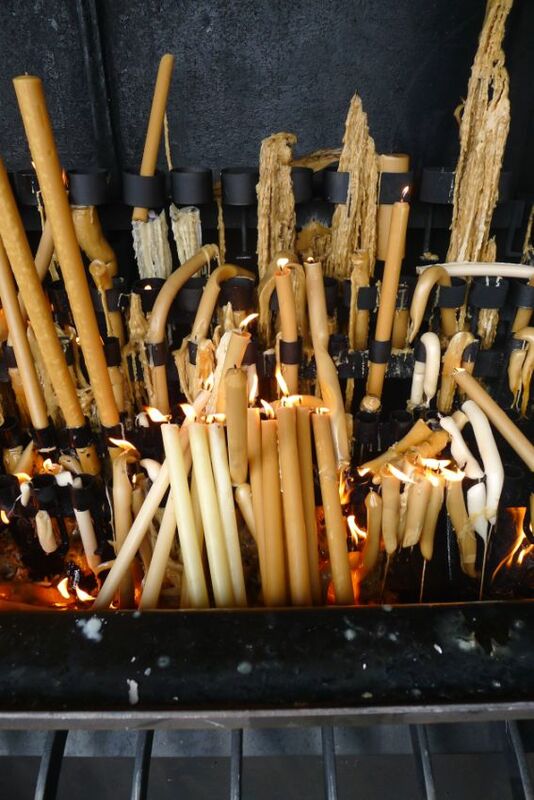 Pilgrims can make a donation in exchange for the candles. 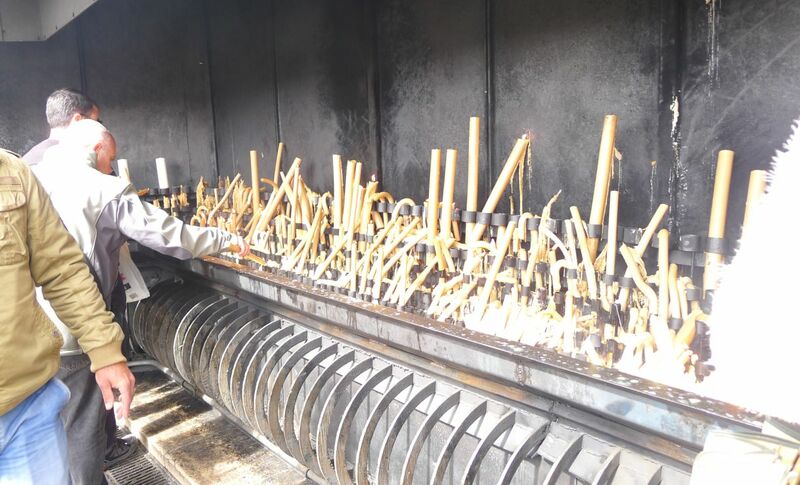 People can also bring their own candles to burn in the site.